February 13 & 14 at 6:00 p.m.; February 15, at 1:00 p.m. Enjoy a tasty, catered meal with friends at the Tiller Arts Center. And then comedy! Unger and Madison are at it again! Florence Unger and Olive Madison, that is, in Neil Simon’s hilarious contemporary comic classic: the female version of The Odd Couple. Instead of the poker party that begins the original version, Ms. Madison has invited the girls over for an evening of Trivial Pursuit. The Pidgeon sisters have been replaced by the two Constanzuela brothers. But the hilarity remains the same. 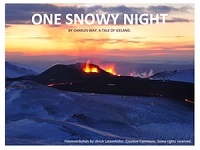 March 21 at 7 p.m. & March 22, at 2 p.m.
One Snowy Night by Charles Way–a young Icelandic boy faces responsibility, along with mythical characters, for his family’s isolated farmstead. Humor and drama that will please both children and adults. May 8, 15 at 7 p.m.; May 10, May 17 at 2 p.m.
Ronald Dahlâ€™s Willy Wonka Junior is the timeless story of the world-famous candy man and his quest to find an heir. Watch as young actors bring this tale to chocolate-covered life. 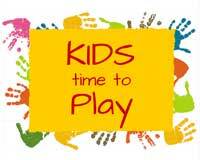 July 11 at 7 p.m. and July 12 at 2 p.m.
“Kid’s Time to Play” is the proud culmination of the On Stage Children’s Theatreâ€™s Educational Summer Drama Camp, coordinated by Christi Hall and directed by Jennifer Kinsman. The performance will be in the innovative format of a play segmented with vignettes developed by the participants. See the kids working hard and having a great time preparing for the July performance. Watch video. August 1, 4, 5, 8 at 7 p.m. and August 2, 9 at 2:00 p.m. In advance: $12 adults, $6 children 12 and under. At the door: $13 adults, $6 children 12 and under. Reserved seating. 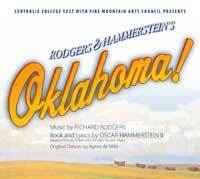 Presented by Centralia College East with Fire Mountain Arts Council, itâ€™s Oklahoma! — Rodgers & Hammerstein’s first collaboration remains, in many ways, their most innovative, setting standards still followed in musical theatre. Amidst the high-spirited rivalry between local farmers and cowboys, two headstrong romantics, Curly and Laurey, find love’s journey is as bumpy as a surrey ride down a country road. A revival of the first Centralia College East Summer Musical (1987). The Candy Cane Courthouse is now in session, and your audience is the jury! The defendant, young Jim Dandy, has called Christmas spirit â€™a lot of nonsense,â€™ but that wonâ€™t fly in the Christmas court of justice! In comes a colorful parade of Christmas personalities, including reindeer-in-training, an angel from atop a Christmas tree, wise men, and holiday shoppers, all defending the spirit of Christmas. The winter season of OnStage features teens from area school districts who have independently selected, written, and planned skits, songs, and dance numbers to showcase their unique talents and delve deeper into principles of stagecraft. Our talented staff of educators and veterans of theater will provide guidance as teens craft independent and group projects, including, but not limited to, musical numbers, short scenes, and monologues. They will work together over ten weeks to select and arrange individual and group projects into a culminating showcase performance. The first session will be held Saturday, November 14th, noon-4pm. Apply for scholarships by November 7th.